The Team are back with a Brand New Pantomime Adventure. Following the overwhelming success of last year’s production Cinderella, we have decided to take the team on another Panto adventure and hope that you will join us! 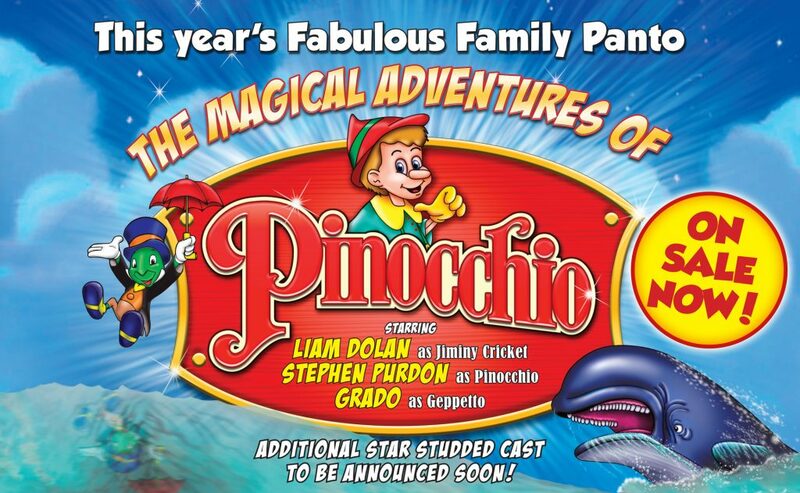 It has been one of our favourites over the years and we think that we are the only theatre in the country to produce “The Magical Adventures of Pinocchio”. 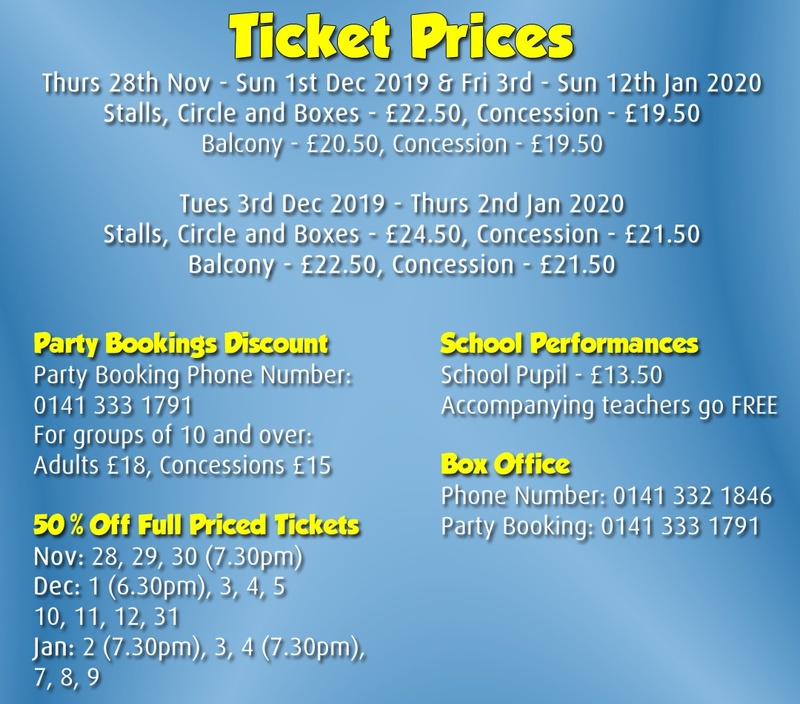 As always, we base our Pantomime on the original story but have that Glasgow twist in true Hilarious Pavilion style and you can be confident that it is Good Clean Family Entertainment. Liam Dolan as the Hilarious Jiminy Cricket, River City’s Stephen Purdon as Pinocchio, Grado as Geppetto, and more of the Cinderella cast to be announced very soon and a few additional surprises. With a brand new Script, Stunning Scenery, Sensational Costumes and Magical Special Effects that we have become known for, it is sure to be; The Best Panto in Town! We have Generous Discounts and Concessions available at all performances so why pay over inflated ticket prices at other productions when you have the; Best Affordable Panto in Glasgow here at the Pavilion. So don’t leave it too late, BOOK NOW to get the Best Seats for your Family! 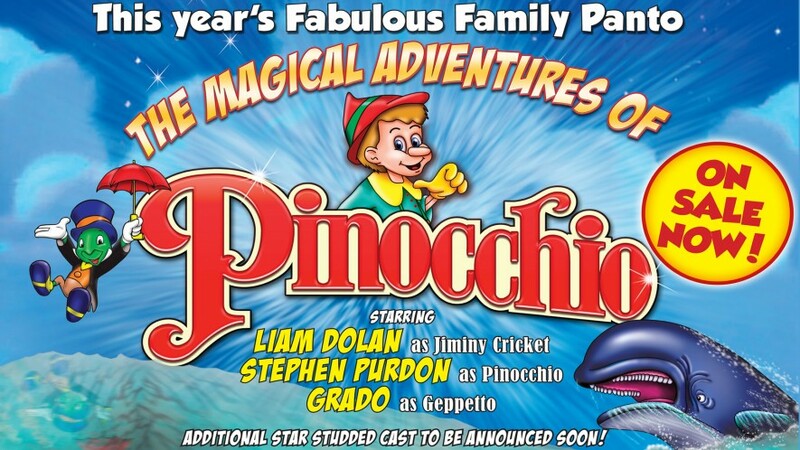 It is the Fun Filled Panto for ALL AGES! If Cinderella was anything to go by this should be a cracker. Getting the tickets book this week.